The Horstead Centre near Norwich provides young people with the best opportunities for educational, personal, social and spiritual development through an exciting programme of residential stays or activity days. Open to all young people, The Horstead Centre operates in partnership with group leaders to plan tailored programmes for all ages and abilities, especially school years 2-9. The centre sleeps up to 60 or 70 people and is run on behalf of the Church of England (Diocese of Norwich). Get active by trying rock climbing, canoeing, low ropes or archery and then make the most of opportunities for rest, reflection or meeting in small groups in the homely Georgian rectory. The Horstead Centre is a long established provider of challenging activities delivered by a qualified, professional and dedicated team in a safe, welcoming environment. 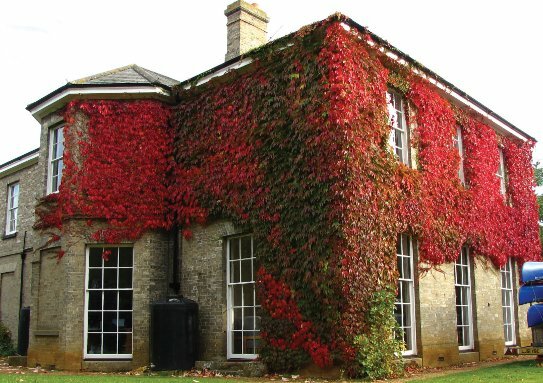 At the heart of our small residential activity centre is the majestic Georgian Rectory retaining some of the original features. We offer 60/70 bed accommodation across a variety of rooms including single and twin rooms for leaders and a variety of size dormitories for our visitors. Attic rooms, the original grand staircase, large imposing fireplaces and a labyrinth room layout all adds excitement and a sense of history to the Horstead residential experience. The back lounge overlooks the garden and has a selection board games and activities. It can also be used for quiz nights, talent shows, film night and more. The front lounge can be used a quiet space or provide the opportunity to spread out for students to write reflection diaries of their experience at Horstead. An exciting addition to our centre where the opportunity for relaxation and quiet contemplation can take place. We have a fully equipped games room offering table football, table tennis, pool and a range of games guarantee something for everyone. Our spacious light dining room can seat 45 comfortably and for full house groups of 60 we have 2 meal servings. Contact the Horstead Centre on 01603 737215 or email josie.barnett@horsteadcentre.org.uk for more information or to enquire about booking.